Do global warming dangers lie under seas? Coral reefs like this one in the South Pacific are fundamental to ocean life yet vulnerable to slight changes in temperature. 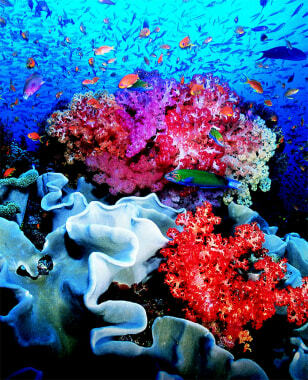 Research shows they would undergo additional stress should ocean pH levels drop due to carbon dioxide emissions.